Not few times I heard people calling me "quoter". Just a little bit sharing, I've been writing quotes around the internet for more than 5 years, and if you really pay attention to my writing, mostly it all talks about the same thing to deliver the same message: accepting life with all your imperfections, weaknesses, and flaws but still living it in the right way. I believe that's the key of life to make it easier and happier, because before you can LIVE it right, you have to ACCEPT it first. 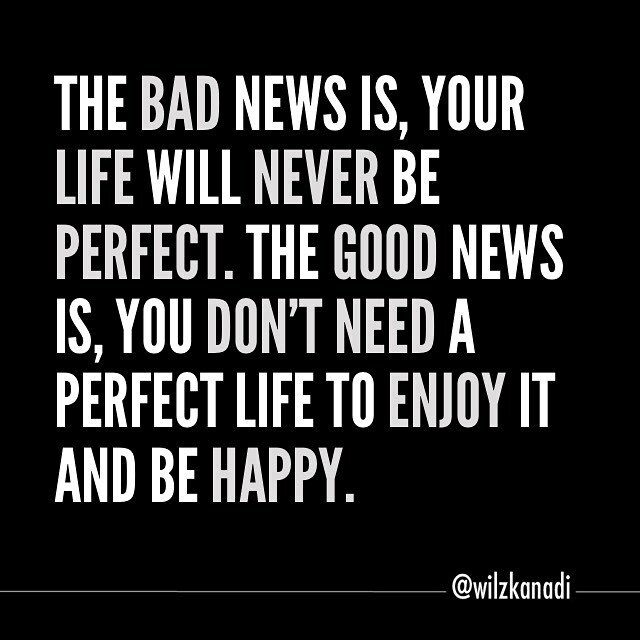 Nobody's life is perfect. I know yours is not perfect. Mine too. But the best thing is, in the end, it all depends on the way you see and live it no matter what life throws at you. It's not determined by your situation but your attitude and perspective. Easier said than done, but that's the first step we need to keep in mind.